Through study that Miss Vaughan is completing for her Masters Degree with the Institute of Education (University of London), we had the exciting opportunity of participating in research that is being carried out in both The West Bank, Palestine and London. Ten university professors from Palestine came to Meath Green to observe some of the differences in the English state education system compared with that in their home country. They commented specifically on how polite and welcoming the staff and pupils were and shared some of their experiences of the education system in Palestine with us during a whole school assembly. 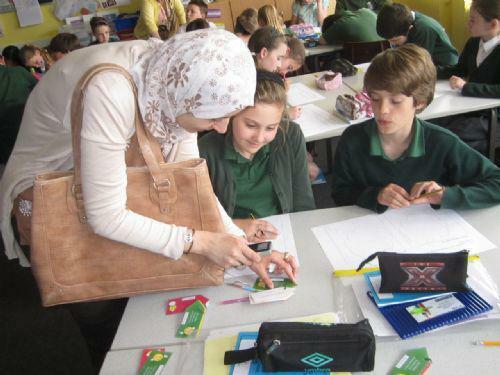 Pictures show our guests observing lessons in year 3 and year 6 classrooms and our children were able to show off some of their skills prior to the assembly.